Click here to download your FREE back-to-school guide. Back-to-school can be a difficult time for many families. Money wasn’t there for you to tackle the long booklist from your child’s school during the summer vacation. Tuition is due, bills are sky high and you feel like you’re drowning, suffocating, being trampled under the rising tide. The battles are many. The struggles are real. But, you’re not alone. In fact, 14.2 percent of Canadian households were low-income in 2015. That’s approximately 5 million people. What if you were provided with strategies to rise above your money struggles and provide for your child’s needs? Would you implement them or continue to wallow in self-pity? These 5 strategies are divided into 2 sections: short-term and long-term. 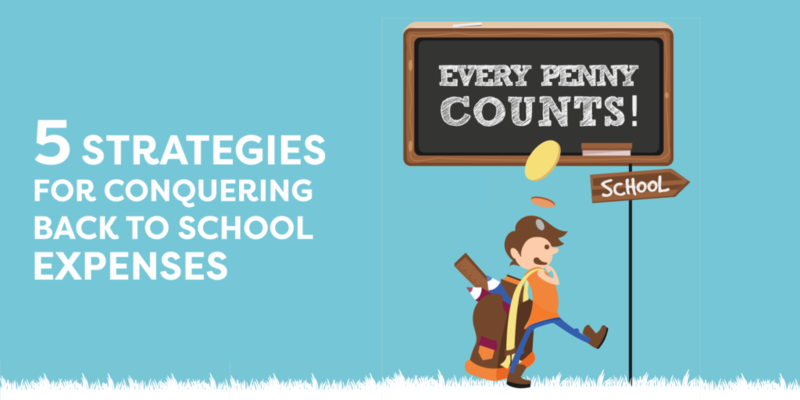 Four short-term strategies are discussed to help you deal with your immediate needs because let’s face it… those back-to-school expenses aren’t going to disappear. The sole long-term strategy is powerful. It can truly help you take charge of your finances and step into a better future. Barely surviving from one pay cheque to the next isn’t a good way to live. You were made for more; your children deserve more. Cashco wants to help make it happen. Let’s step forward into a life where you can do more to make every penny count! Read more about savings hundreds of dollars by doing back to school lunches the right way and budgeting for extracurricular activities.